Sunday, August 18th Enjoy all-you-can-eat ice cream from popular purveyors and home-makers alike at The Boston Ice Cream Takedown, going down Sunday at the Somerville Armory. For $15 you can "swim in a sea of limitless ice cream"
Wednesday, August 21st Can you think of a better way to celebrate Hump Day then getting your tiki on? We can't. Which is why you should hit Local 149's 2nd annual Tiki Week, which runs through Sunday and includes special Polynesian plates, live tunes, umbrella drinks, and a giant pig roast to bring it all to a close. Fenway's Sweet Caroline's has tapped acclaimed Hub mixologist Noon Inthasuwan to create a new "ballpark"-inspired lineup of cocktails that includes crowd favorites like the bourbon-, IPA-, and cola-mixed Angels in the Outfield, a gin & honey syrup number that's been dabbed with a touch of, yes, yellow mustard (!! 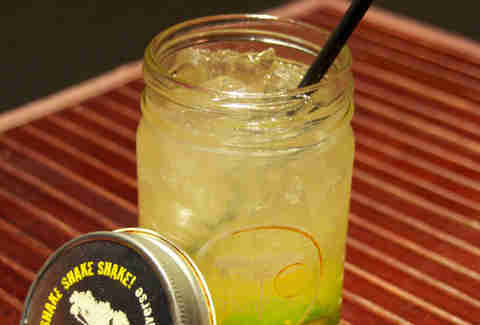 ), and their signature Sweet Caroline, which brings together Cracker Jack-infused whiskey, vermouth, and Boston Bitters.